It’s time to get your strut on and work a totally fierce pair of heeled ankle boots into your new season shoedrobe. 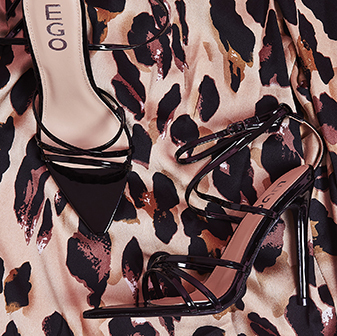 Whether you’re going all out pretty in perspex or looking to turn heads with a statement heel, you can rely on EGO to help you bag a sassin’ style for all occasions. 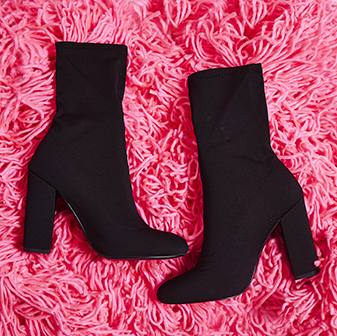 Our collection of heeled ankle boots will raise your style game a level above the rest. Team with socks or dare to bear. Wear these to the office with tailored trousers and a printed shirt for a smart casj-cool look or take them into the night-time with that super swingin' mini dress. You just can't go wrong.